Saint Hilary wants to ease the transition for our transfer students by inviting all new parents and students to visit their respective classrooms to meet their new homeroom teacher, get acquainted with other new students, and to participate in orientation activities. New Family Picnic @ 3:00pm, Belvedere Park. Immediately following the orientation, current school families will welcome the new school families with lemonade and cookies at Belvedere Park. This is great way to make new friends to start the new year at Saint Hilary School. First Day for all Students @ 8 am. Bring backpacks to school for a "Blessing of the Backpacks"
The Flaming Os! Friday Nights on Main are a much loved community tradition in Tiburon....the block party to end all block parties! Main Street is closed to traffic for the evening and local restaurants set up table outside, creating a warm, inviting venue in which to enjoy live music and wine & dine al fresco. Psst! Don't tell anybody, but word has it that the famous Saint Hilary Tiger and cheerleaders will be on hand to greet guests. 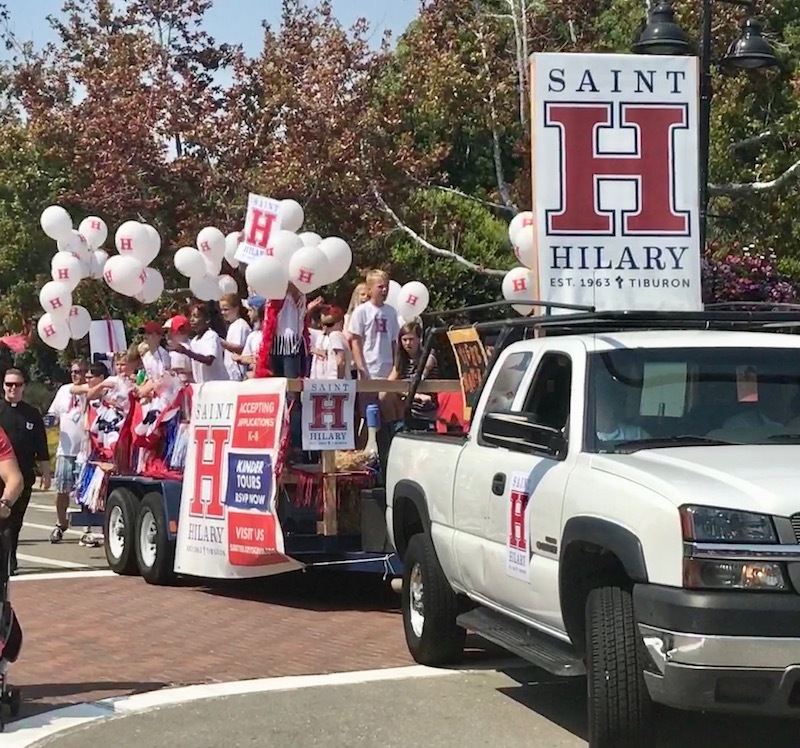 Tiburon Labor Day Parade! A SHS Signature Event! All students and parents who march in the parade earn 5 volunteer hours.